CD 1 1. Georgia On My Mind 2. What’d I Say 3. I’ve Got A Woman 4. A Fool For You 5. Hallelujah， I Love Her So 6. Leave My Woman Alone 7. Mess Around 8. I’m Movin’ On 9. This Little Girl Of Mine 10. Let The Good Times Roll 11. Mary Ann 12. Drown In My own Tears 13. Lonely Avenue 14. Just For A Thrill 15. Chattanooga Choo-Choo 16. Moonlight In Vermont 17. ’Deed I Do 18. Blue Hawaii 19. Carry Me Back To Old Virginny 20. Alabamy Bound 21. Basin Street Blues 22. New York’s My Home 23. California， Here I Come 24. Feelin’ Sad 25. Don’t Let The Sun Catch You Cryin’ CD 2 1. Sticks And Stones 2. Ain’t That Love 3. Night Time Is The Right Time 4. Ruby 5. Rockhouse (Parts I & II) 6. It Should Have Been Me 7. Come Back Baby 8. Greenbacks 9. When Your Lover Has Gone 10. My Bonnie 11. You Won’t Let Me Go 12. It Had To Be You 13. Tell Me You’ll Wait For Me 14. That’s Enough 15. Am I Blue? 16. Tell The Truth 17. Moon Over Miami 18. Deep In The Heart Of Texas 19. Mississippi Mud 20. Don’t You Know 21. Alexander’s Ragtime Band 22. Blackjack 23. See See Rider 24. Swanee River Rock 25. What Would I Do Without You? The term legend is used all too loosely in this day and age, with music arguably the worst offender. 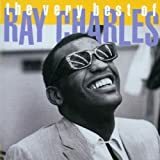 But in Ray Charles, modern music has someone it can proudly label one of culture's true geniuses. Charles blazed his own trail through a career spanning nearly six decades and with this 3CD, 75 track set we celebrate his most popular, influential and seminal recordings.